On a freeway, most exit ramps look the same. A sign gives you warning an exit is available in one mile. A right-hand lane allows you to slow as you turn onto the exit ramp. The ramp banks gently away from the freeway and towards an intersection with some lesser road. You come to a stop. You turn left or right towards your final destination. Boring, perhaps. But the point is not excitement; it is predictability. 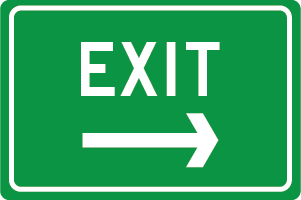 Every exit is the same and encourages the same behaviors in every driver: turning, slowing, stopping. An “exit ramp” from the decision-making-freeway functions in much the same manner. When a decision is made, we drive it off the freeway in very consistent, very predictable ways. Not much excitement. But neither are decisions made and then abandoned without consideration of how to communicate, implement, and evaluate them. The decision-making freeway of too many leadership groups looks like a scene from a disaster movie: decisions pulled off to the shoulder or abandoned in the middle of the road … stalled, stopped, stymied. I know a leadership group who debated, agonized over, and finally made a decision about changing their congregation’s Sunday morning schedule. And then the decision sat there for eighteen months. No communication with ministers (who had initiated this discussion) or the church. No implementation or plans for implementation. A decision was made but nothing happened. Just another abandoned vehicle on the decision-making-freeway. You can probably cite other examples of this tendency to decide and drop. Leadership groups do it all the time. Not from fear of consequences or any bad motive. They simply have no consistent, reliable process for getting a decision off the freeway and into real life. Discussing an issue, deciding an issue, is about half the work required of leaders. But the other half involves checking off some simple steps that should be taken with every decision. Boring, perhaps, but predictable. And in the decision-making process, predictability is our friend. Read over the chart below and then let’s consider a few basic questions that need to be asked before a decision is “parked” for good. A decision is pretty useless if it is not communicated, implemented, and—eventually—evaluated. Decisions are meant to be acted on … they are meant to make a tangible difference. A decision is pretty useless if it is not communicated, implemented, and—eventually—evaluated. Decisions are meant to be acted on … they are meant to make a tangible difference. So how can we ensure that a decision—once made—does not simply get parked on the shoulder of the freeway and abandoned? Once again, we turn to the “owner” of the particular issue being considered and decided (see article about the decision-making On Ramp) to provide a fundamental service to the leadership group as a whole. It is the owner’s final responsibility to ensure a decision reaches its intended destination by asking a few basic questions and providing a plan for bringing that decision to life. How do we communicate this decision? Who needs to know this decision has been made? A minister? 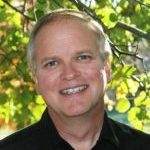 A ministry leader? A group of “stake-holders”? The congregation as a whole? A little time spend considering “who” will ensure a decision is communicated to the right people—the people most impacted by that decision. How do we talk about this decision? Should we have a pastoral conversation? Will an email suffice? Should we call a meeting with a group of people? Do we need to make a public announcement? Matching the medium to the message is an important part of a good communication plan. How much detail about the decision needs to be communicated? Is this a simple “FYI”? Should we give the rationale behind the decision? Or is a full-blown, detailed explanation of the decision, its context, and its implementation required? While leaders shouldn’t feel pressured into communicating more than a particular decision merits, they should never make the mistake of communicating less than a decision deserves. Is there any preparation our audience needs for hearing about this decision? A decision to adjust the budget is one thing. A decision to change something central to a congregation’s worship style is another. Not all decisions are created equally. Some decisions require more preparation than others. Thinking through what is needed by members so they can hear, understand, and support a decision is critical. Understanding how to prepare people for a decision before dropping it on them is simply good and sensitive leadership. The more people who “need to know” about a leadership decision, the more significant the impact of that decision, the more carefully a communication plan must be crafted. A script (with major talking points) that all leaders can use in individual or small group conversations.When a decision is going to be unpopular, leaders should anticipate they will be picked off in the hallway, separated from the herd, and asked to give an account of themselves. Sending a unified message at such times, singing from the same score, is essential for leadership unity and congregational support. Specific wording of any public announcement or written communication about the decision. Words matter. Although the words leaders employ and the words members hear can often be worlds apart, some careful and prayerful time spent on the content of a message can minimize misunderstandings and overreactions. A strategy for creating conversational opportunities. Public announcements on Sunday mornings are OK for informing the church of a decision. But it takes something more personal, more interactional, for members to understand and support a decision—especially when they have reservations or objections. Getting “face time” with members (through classes, small groups, ministry teams, and visits in homes) is time-consuming and energy-intensive. But if leaders want to give members a chance to support decisions they do not like, this kind of availability and vulnerability and personal contact is vital. An explicit commitment to leader listening. Communication is a two-way street. Leaders need to convey a message. But they also need to listen. What are members thinking? How are they reacting to this decision? Members deserve a chance to process, respond, and even vent. Good leaders are not threatened by listening. They do not get defensive or argumentative. They know the value of respecting their members by listening to them—even when they have hard things to say. Communication is a two-way street. Leaders need to convey a message. But they also need to listen. What are members thinking? How are they reacting to this decision? Members deserve a chance to process, respond, and even vent. I don’t recall ever consulting with a leadership group that felt good about the way they communicated with members of their congregation. Communication is difficult. It takes planning and repetition. But unless leaders do the boring yet necessary work of thinking through a communication strategy—for every decision they make—more than a few of their decisions will fall through the cracks and die. How do we implement this decision? What is the end result this decision is intended to facilitate? (e.g., a change of schedule, starting a new ministry, hiring a minister, etc.) Write out that “end” in simple words and drive it (like a stake in the ground) into your thinking and planning. Who is in the best position to drive implementation? Being the elders’ appointed “owner” for a decision doesn’t necessarily mean it’s the owner’s job to implement the decision. That job is to ensure implementation occurs! So who is best positioned to make that happen? With “the end in mind,” what steps must be taken to accomplish that end? (Work your way backwards from the goal for the future to your present reality.) The clearer these steps, the more sequenced they are, the better your plan will be. When is the deadline for implementing this decision? When do we need to start implementation in order to meet that deadline? When do the required steps need to happen along the way in order to meet that deadline? One last thing. There is no implementation without monitoring. Even when someone else is charged with the responsibility for implementation, it is the “owner’s” continuing duty to monitor progress and help manage problems. How do we evaluate a decision? The decisions of church leaders are not laws written on tablets of stone and brought down from Mount Sinai—immutable, eternal, unchanging. They are—in the end—products of flawed leaders, subject to changing circumstances, and often in need of adjustment. Which means decisions need to be reviewed and evaluated on occasion. Why not get into the habit of putting a decision on the leaders’ agenda three months after its implementation deadline? This is a chance to dust off the decision, review its impact and implementation, and learn from mistakes. A few minutes reviewing past decisions will train a leadership group in making better decisions in the future. Leaders who do not learn from their decision-history are doomed to repeat it. How do we rescind a decision? Once in a great while, church leaders make bad decisions. I know, it seems inconceivable, but it does happen. Is there a process for reconsidering and revoking decisions that were wrong-headed or poorly implemented or resulted in unintended consequences? I’m not talking about the second-guessing and hand-wringing that so often results from “decision-remorse” (to which church leaders are particularly prone). A constant cycle of “debate, decide, doubt and dither, debate some more, vacillate, and undo” is not healthy and wears down leaders to nubbins. Leaders need to learn to make decisions and stick with them. Except when “sticking with” decisions is more about stubbornness than leadership. There are decisions that don’t deserve leaders’ loyalty. When we bump into decisions like that, what do we do? Put a motion to reconsider a decision on the leaders’ agenda. At the next leaders’ meeting, present the motion to reconsider to the entire group (in writing) along with your reasons for believing reconsideration is a good thing. After (very) brief discussion, take a vote on whether to reconsider. If the vote reaches a pre-established “reconsideration threshold” (two-thirds of the entire group? three-quarters? ), the group can discuss the original decision and the problems it has encountered. If, on the basis of that discussion, the group realizes a decision should be revoked, another vote is taken (requiring the same reconsideration to be reached). If that vote passes, the original decision is rescinded and the group needs to engage in discussions about undoing the damage. If the vote to reconsider does not reach that threshold, the discussion is finished and the decision stands. Whichever leader thought reconsideration was merited needs to yield to the wisdom of the group and embrace the decision thereafter. I know this series has involved mind-numbing detail. I realize it’s not a series for every leader and every leadership group. Building this kind of decision-making process, formalizing it in this way, may not be possible or even desirable in some settings and for some churches. But one thing is true: church leaders make decisions and, when they do, they make those decisions as a group. Some process is required to ensure good and healthy group decision-making. You can take the scenic route if you want to: unstructured, undisciplined, undefined. There is a better way … a decision-making freeway. Yes, it requires some forethought and hard work. Yes, it requires leaders to hammer out a decision-making agreement before decisions are made. And, yes, leaders must be willing to hold themselves accountable to a process. But this is how leadership groups make consistently good decisions, effectively communicate and implement them, and—along the way—bolster the integrity, unity, and confidence of the group as a whole.